Read The Guardian’s story about the importance of investing in skills and apprenticeships, featuring a recent visit to our clockmaking company and our commitment to apprenticeships. 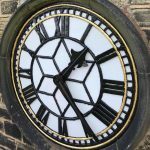 The article highlights our commitment to apprenticeships and a couple of nice quotes from our young clockmakers. 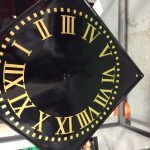 If you are looking for a career in clockmaking and would like to learn on the job whilst getting paid, please contact us. We’d love to hear from you!